Of course, coups and attempted coups are what could be described as the "West&apos;s specialties", and have been utilized by the U.S., U.K. and other imperialist countries against innumerable unfortunate nations on all continents. In Latin America, basically each and every country has suffered from them, from the Dominican Republic to Chile and Argentina; in Asia, from Indonesia to Thailand, and in the Middle East from Iran to Egypt and Syria. Whenever people of some country dared to vote in the socialists, Communists, anti-colonialists or simply some decent bunch of people who were determined to serve their own population, the West corrupted and deployed local elites and military, overthrew elected or revolutionary governments and installed brutal servile regimes. Thousands died, sometimes millions, but the Empire couldn&apos;t care less; as long as it got its way. But what the West is now doing to Venezuela is something else, and totally extreme; the hostile acts against President Maduro and his comrades are stripped of all the scruples and cosmetic "refinements" of the past. They supposed to demonstrate in the cruelest terms who the real ruler of the world is, and who is "in charge". This is "Western democracy at its best"! In the past, the US tried to overthrow Chavez, it attempted to starve Venezuela, to make its medical system collapse, then to assassinate Maduro. It produced a "deficit" of food, even toilet paper. It ordered its lapdogs in Latin America to antagonize the Bolivarian revolution. 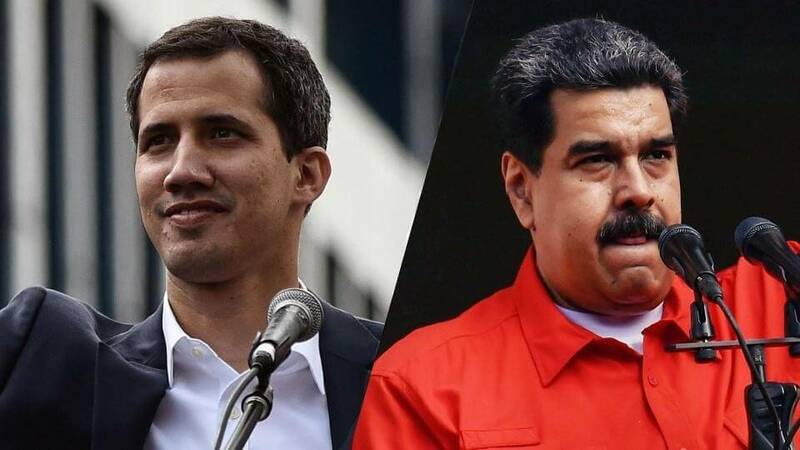 Now, in the latest development, the regime in Washington has simply hand-picked its favorite traitor inside the socialist republic of Venezuela – a treasonous cadre named Juan Guaido, (who served, briefly, as President of the National Assembly of Venezuela), "recognizing him" as the "interim President of the country". Of course, before Guaido first declared himself, pompously, President of Venezuela, he was almost immediately put into his place by the Venezuela&apos;s Supreme Court, which disavowed him as the chief of the National Assembly. So, let us call him former chief. Venezuela&apos;s Supreme Court head Maikel Moreno announced on Monday that the judges had disavowed Juan Guaido as the chief of the opposition-controlled National Assembly. Venezuela&apos;s Supreme Court has declared all acts of the country&apos;s National Assembly null and void, days after the opposition-held assembly declared President Nicolas Maduro&apos;s election illegitimate. You see this man, who nobody knows in Venezuela—you ask in the streets, "Who is Juan Guaidó?" and nobody knows him—but he&apos;s being pushed to say that he is the new president, by the U.S.
And then, a day later, President Trump "recognized him" as the country&apos;s interim president. Canada did the same. The same did France, now a second-rate but increasingly rejuvenated imperialist and neo-colonialist power. Followed by that U.S. puppet – the Organization of American States (OAS), with such fascist countries on board, like Brazil, and Colombia now leading the pack. Venezuela ordered all US diplomats to leave and it cut off all diplomatic ties with Washington. US refused to make its embassy staff depart from Caracas, declaring that the Venezuelan government is "illegitimate". It is childish, arrogant, outrageous, and surreal. But it is really happening. And unless it is stopped, right there, in Caracas, this new form of "spreading coups", and enforcing global dictatorship, may spread to all other parts of the world. The Venezuelan authorities know that the US is trying to stage a Syrian scenario with "government in exile" in Caracas… After US Vice President Michael Pence called for overthrowing our government, our president decided to sever diplomatic relations with the US authorities and asked US diplomats to leave Caracas in the next 72 hours. This is an adequate response which our brave president provided to flagrant interference… No country can allow any other country to state their opinions about the internal affairs of the state, especially when it comes to calls for overthrowing (the authorities). We know what the next steps will be. The US will now have a justification [for their actions] that there are two governments in the country, like they did in our fraternal Syria with President Bashar Assad and its people. They created a government in exile, which led to great losses, to casualties, to demolition of the country&apos;s infrastructure. There is no reason to panic. But Maduro&apos;s government has to rapidly and fully realign itself. There are many countries outside the NATO realm which are willing to buy Venezuelan oil, and/or fairly invest in its infrastructure and industry. Russia, Iran, China and Turkey are the most important ones, but there are many others. There has to be new strategy on how to alleviate the pain of the ordinary Venezuelans. This, too, has to come from "outside the Western sphere of control", even outside Latin America; a continent known for its brutal European-descendent elites, consistent lack of solidarity, courage, and acceptance of the West&apos;s rule (the greatest modern-day hero of South America, Hugo Chavez, died attempting to build an united, proud, socialist Latin America, just to be stabbed in his back and spat at by many of the servile Latin American nations. Cuba was fully abandoned after the destruction of the Soviet Union, and had to be saved by China). As we see how the situation in Venezuela develops, we note the willingness of a certain group of countries, including the United States, to use different platforms such as the Organization of American States, to increase pressure on our ally Venezuela under different pretexts… But we have always supported and will support friendly Venezuela that is our strategic partner. The Syrian Arab Republic condemns in strongest terms going to extremes by the US and its blatant interference in the affairs of the Bolivarian Republic of Venezuela which constitutes a flagrant violation of all international norms and laws and a brazen attack against the Venezuelan sovereignty," a source at the Foreign and Expatriates Ministry said on Thursday. In the past, countries accepted the Western terror unleashed against them as something inevitable. But now, the situation is changing. Russia, Cuba and Syria, Iran and China, and now Venezuela, are refusing to surrender, or even to "negotiate with the terrorists". Aleppo, which I described as "the Middle Eastern Stalingrad", stood tall, fought, resisted and defeated vicious enemies. Now Caracas, the Latin American Leningrad, is under siege, starving, but determined to fight against foreign invasion and treasonous cadres.